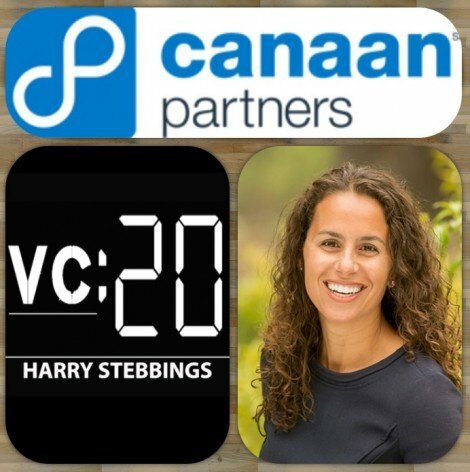 Maha Ibrahim is General Partner at Canaan Partners. Maha is renowned in the venture industry for her ability to to spot technology trends extremely early, proven through Maha being one of the 1st investors to recognise the huge potential of social gaming. As a result, Maha led Canaan’s early investment in social games pioneer PicksPal (acquired by Liberty Media) and was a seed investor in Kabam, the world’s largest developer of massively multiplayer social games. Due to Maha’s incredible success in venture, she was included in Silicon Valley the ’40 Under 40′ award by The Silicon Valley Business Journal and is a regular on Bloomberg TV. How Maha made her transition into the world of Venture Capital? As one of the 1st investors in social gaming, what did Maha see that other people did not? With the gaming industry being as fast moving and fickle as it is, shown through the likes of Zynga’s troubles, is Maha concerned for her gaming portfolio companies, in their ability to maintain their dominant presence in the sector? Maha is an investor in The Real Real, a company which had revenues of over $100m last year. What does Maha believe is the reason for this incredible success and where does she see the future for The Real Real? Increasing amounts of capital means increasing competition for VCs, what does Maha believe VCs can bring to the table to beat off the competition? What is Maha most impressed by, in terms of entrepreneurs pitching to her? Where does Maha believe the next big forms of disruption are coming from? We finish today’s episode with a quick fire round where we hear Maha’s thoughts on the hardest part about being a VC, how Maha measures her success as a VC and her most recent investment and why she said yes? You can follow Maha on Twitter here!